Martha Berry thanks the Hoges for their Christmas gift to Berry. She says that it means more to her when people living at the school give to help it. She hopes that more graduates and workers will give to the school. 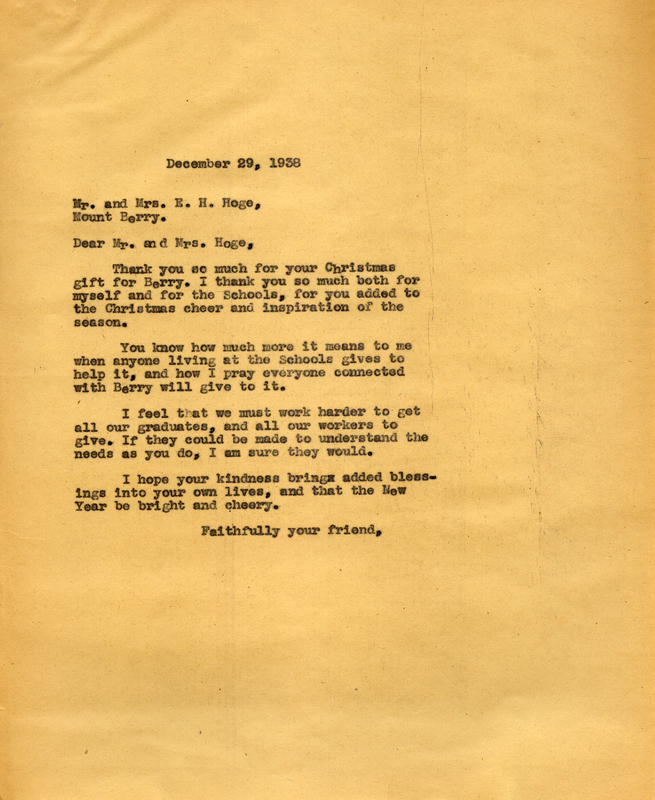 Martha Berry, “Letter to Mr. and Mrs. Hoge from Martha Berry.” Martha Berry Digital Archive. Eds. Schlitz, Stephanie A., Cassie LaJeunesse, Jessica Hornbuckle, et al. Mount Berry: Berry College, 2016. accessed April 19, 2019, https://mbda.berry.edu/items/show/14575.